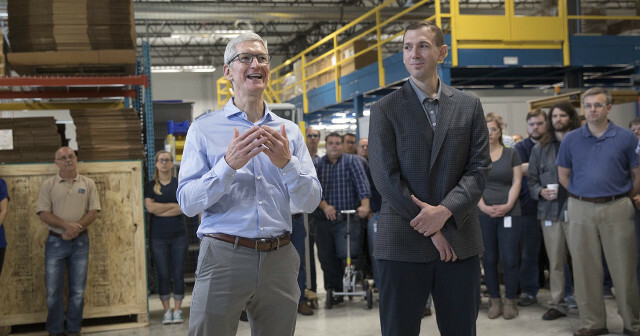 There's a bulge in Tim Cook's pants that has aroused my curiosity -- is it Apple iPhone 8? Next month, Apple is expected to introduce a new smartphone -- probably a few new models, actually. What most folks are excited about, however, is the rumored "iPhone 8." There has been some speculation that it will be an extremely premium -- and expensive -- smartphone. Some leaked designs imply that it will have almost no bezels, while ditching the bottom physical home button and extending the screen to the very top, wrapping around the front camera and ear piece -- similar to the Essential Phone. Based on the rumors, the iPhone 8 -- if that is even what it will be called -- could be narrower and taller than existing models, such as the iPhone 7 and 7 Plus. That's why I found myself quite excited while looking at a Tweeted picture of Tim Cook's pants today. 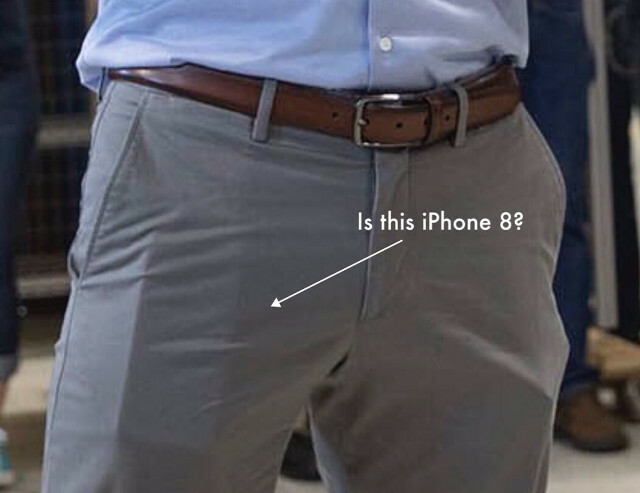 In a Tweet Cook sent from a manufacturing plant, there is a bulge in his right pocket that is clearly an iPhone. But which model is it? As you can see, it does look rather tall and narrow, unlike existing iPhone devices. With that said, it is hard to judge. It could be the fabric of his pants or the angle of the photo that makes it look that way. Unfortunately, we will never know definitively what he has in that pocket, but it is fun to guess. With September right around the corner, it isn't crazy to think he would be using and testing a future iPhone. Take a look at the photo below and you be the judge. Tell me in the comments if you think this is the iPhone 8 or just a run-of-the-mill iPhone 7 or 7 Plus.